SO WE'RE told in basic terms a steam engine is a heat engine that performs mechanical work using steam as its working fluid. According to Toowoomba and District Old Machinery Society publicity officer Warren Buckley it is just that and a whole lot more. Mr Buckley will be among the queue of historical machinery buffs taking to the highway and heading to Allora for the coming Australia Day Weekend and the 2019 Allora Heritage Weekend. 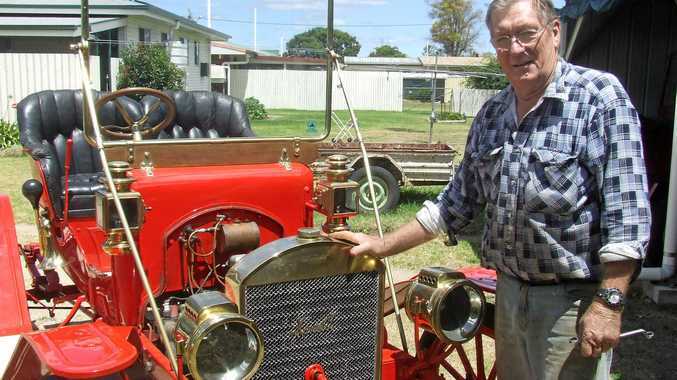 The founding president and now life member of the Toowoomba and District Old Machinery Society, who has been attending Heritage Weekends on and off over the past 20 years, will be bringing his unique 1906 Clayton Shuttleworth portable steam engine to the Allora Showgrounds. "The steam engine has a local link, you could say," Mr Buckley said. "It was originally used around the Leyburn area." 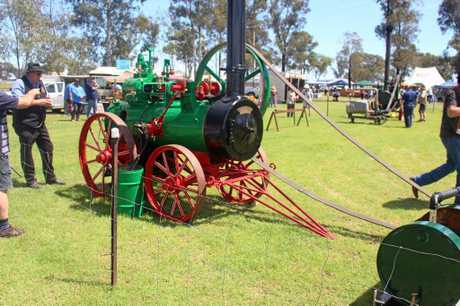 With the steam era a feature of the 2019 Allora Heritage Weekend, the Toowoomba and District Old Machinery Society members will bring several portable steam engines down to support Allora's blue ribbon historical event. No one could question Mr Buckley's commitment to the restoration and preservation of historical machinery given his 36 tractors - including what is the oldest full set of Massey Harris tractors in Australia, steam engines, vintage cars and trucks, but he is particularly proud to be involved with the "dying art of operating steam". "Steam engines take on a persona all of their own and just a pleasure to tinker with," he said. "There is a science in the operation of steam." He smiles as he suggests steam engines are "smooth silent power, it's like they actually breathe. I have had many people tell me that it is very therapeutic just listening to them". A long-serving Queensland Fire and Emergency Service officer, Mr Buckley is the area commander at Dalby, having started in the service as a full- time firefighter in Warwick in 1992 after serving as an auxiliary firefighter in Toowoomba. His appreciation and affection for fire service vehicles is reflected in his 1968 AT4 Dodge, the former Toowoomba Fire Brigade's Pump 3 (Fleet 321) bought new by the Toowoomba Fire Brigade Board in August 1968. "The Dodge will be turning out to Allora you could say, not quite as recognisable as a fire appliance nowadays given I took the fire service body off the back to tow my old tractors and steam engines around." Allora Heritage Weekend committee chairman Lyle Johnson reckons if the number of calls and messages on his phone are any indication, the 2019 weekend was going to be huge. In another magnificent marathon effort, Steve Braqques will again lead an annual truck convoy pilgrimage from New South Wales and Victoria to heritage central at Allora, with at this stage 25 semi-trailers carrying myriad historical machinery across the 3000km return trip just to be part of the Allora Heritage Weekend. 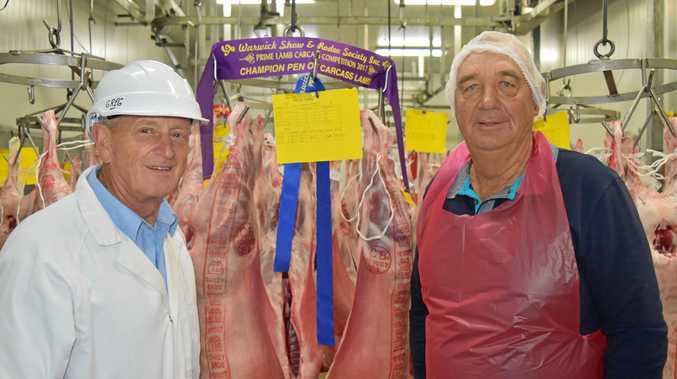 It's all happening on Saturday and Sunday, January 26 and 27, at the picturesque Allora Showgrounds. It's one of the biggest events of its type in the nation. For more information phone Ted Woodrow on 0418875469, Mark Grosskopf on 0438623734 or Lyle Johnson on 0409766288.